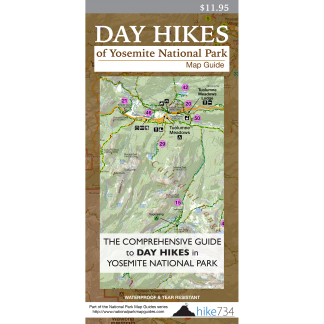 This hike explores the Tuolumne River at the base of the Hetch Hetchy Reservoir. Instead of crossing over the dam, walk the gated road down into the canyon. Before you get to the river, you come to a fork in the road. First, take the right fork to see the dam from the bottom up. Return to the fork and head down into the trees and across the river via a bridge. 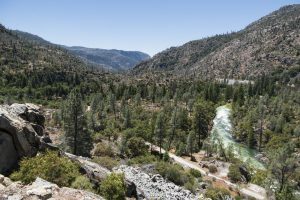 The road turns into a trail that takes you into the shade along the rolling river amongst tall, deciduous trees and interesting rock formations. Turn around at the gauging station.